Amazon Echo devices are extremely popular. 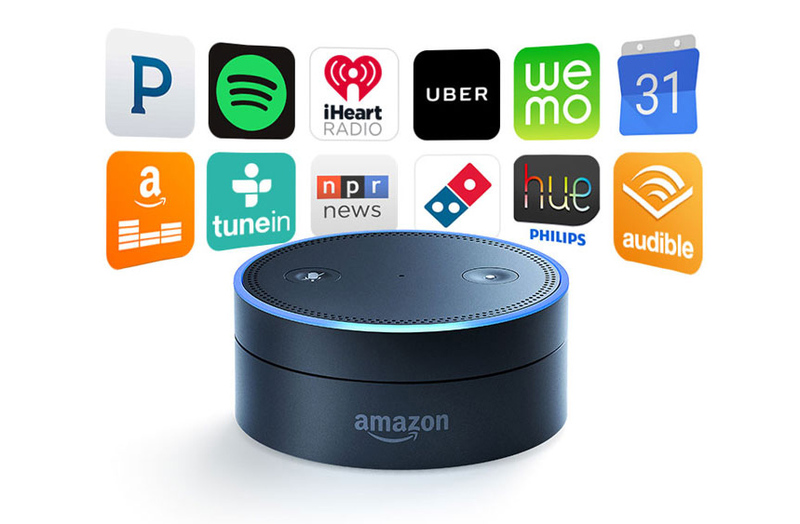 The family of Echo products, including the original Echo, Echo Dot and Tap, all have the same Alexa voice assistant capabilities. With the ability to add new skills, the sky is the limit in terms of what the future holds. But right now, we show you some cool things you can already do with your Echo- today. You can synchronize music across your home. Perfect way to use Echo as your music speakers for house parties and gatherings. Right now, you can only play music requests from Amazon Music, TuneIn, iHeartRadio, and Pandora. Support for Spotify and SiriusXM will be coming soon. To set it up, you go to your Alexa app settings and create a music group from the Multi-Room Music option. Check your devices that you would like to group, create a custom or pre-determined name like “upstairs” and you are all set. To activate, just say “Alexa, play Pandora Station 80s rock upstairs”. Alexa calling allows you to call or message via all Echo devices and Alexa apps. The calls are free, using either your wifi connection or cellular data. To call from your Echo device to another Echo, just say “Alexa, call kitchen”. To answer, just say “Alexa, answer”. Pretty easy and straight forward. You can also call your contacts’ phone by asking to call the contact name. Alexa knows to dial the number associated with the contact’s name. In case the contact has multiple numbers, you can be specific like, “Alex, call mom mobile”. You can even ask it to call a specific number, like “Alexa, call 555-111-2222”. Only US, Canada and Mexico numbers are supported. 1-800 numbers or 911 are not available at this time. To call a from your cell phone’s Alexa app is a bit more complex. This feature uses your contacts to match a phone number to whatever name you’re telling Alexa to get in touch with. It will then use that number to identify the Alexa user you’re trying to reach. When you first set up this part up, you need to give Alexa your phone number. Once the contact match has been established, you can now use the App or Echo devices to call that person’s phone. Remember, the calls are routed through the internet so on your mobile device, you will be using your cell data. Well, first, you need a smart home device. Luckily, there are many available. The easiest one to start with is Belkin’s Wemo home automation switches and plugs. If you already have a NEST thermostat, then you can control it as well. Once your smart home device is connected to your home network, you need to go into the Alexa app. You’ll have to enable the appropriate skill first. If you set up a Wemo switch, enable the Wemo skill. Next go into Smart Home, under Devices, tap “Discover devices”. You can also group your devices into groups and scenes to control them with one command. There are quite a few options on how this would work. If you have Amazon’s streaming device, then link your Fire TV to your Alexa device using the Alexa app. You can use voice for commands like playback controls, searching for videos, and opening apps. It’s very similar to the functionality provided by Amazon’s physical Alexa voice remote control. This feature is available for all Fire TV devices except for the original first generation Fire TV Stick. You can also decide to purchase a 3rd party all-in-one remote like the Logitech Harmony or AnyMote. By connecting your infrared controlled electronics to the all-in-one remote, you can then control your TV through Alexa. If you have a Roku streaming player, you can use Quick Remote to control your TV experience. In order for Voicecast to work, you first need a Fire tablet. What this functionality allows you to do is use voice control to summon Alexa and simultaneously see a visual representation of the request on the tablet. Basically, the tablet acts as a dashboard for your Echo. The tablet does not need to be connected to the Echo in order for this to work, it just has to be on the same network. With web services like IFTTT and Stringify, you can do pretty much do anything that connected devices allows you to do. These web services allow you to connect devices and other web services, like Facebook, Instagram, gmail, Weather, and Fitbit, so they can all work together regardless of the platform and service. Sounds complicated? It can be, but it sure is fun!